Intro - Introduction and tribute to a great musical talent. Biography - A short biography of Peter's life and career. Birthday Page - A tribute from 2004 for Peter's birthday, remembering his 26th and 50th birthdays. Peter's Grave - Peter's final resting place. Songwriter - a list of Peter's published compositions. 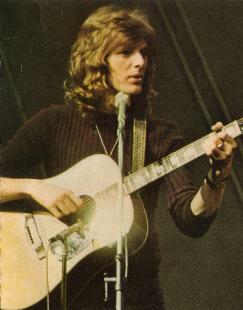 Song List - covering all Peter's known recordings and the New Seekers from 1969 - 1974. Song Info - More detailed information on all of Peter's recorded songs. Song Chart - Your chance to vote for your favourite Peter Doyle songs if you haven't yet done so! Website Who's Who - Index to artists and groups mentioned on the site. Memories - Stories and anecdotes about Peter throughout his career. Favourite Songs - Your chance to vote for the songs you like best which Peter wrote or sang on. Links to Other Sites - Links to other websites carrying information related to Peter, his music and other broadly associated topics. 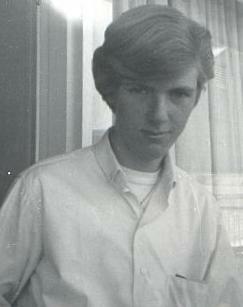 Sixties - Pictures from the early days of Peter's career. April In Portugal - On the journey to international stardom. Off Stage - A few pictures from the 80s and 90s. 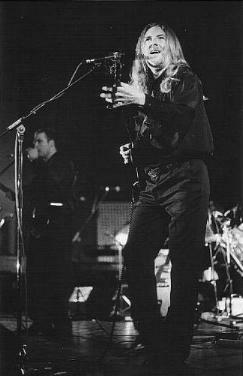 Trilogy - Peter on stage with Trilogy in the late 1980s. Guitar Man - Peter and guitar. Rockin' In the 90's - On stage photos. 1993 Portrait - A special studio photo. Friends - Recovering from the laryngectomy. Fans: Page 3 - An assortment of pictures from the 70s. Family Album 1 - Peter's Mum and great nephews. Family Album 2 - Family pictures from 1961 & 1983. Shannon - Shannon Carpenter putting one of Peter's guitars to good use. Sound and Vision - a page of links to hear and see Peter in action on the internet.